With St. Patrick’s Day on Friday, you may be thinking about a thoughtful, in-depth contemplation of Irish culture. You might explore the literary brilliance of Joyce, Yeats and Wilde, then grab a copy of “From the Bottom Up: The Story of the Irish in Kansas City” by Pat O’Neill. You will do all of this, of course, while listening to The Elders and U2. Just kidding. 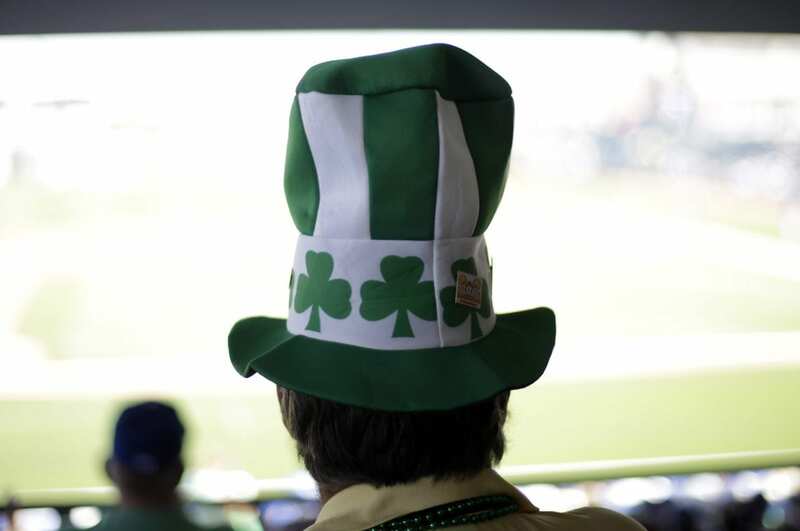 You’re going to put on a silly green hat and get drunk on green beer by noon. But that’s not all there is to do this weekend. We’ve got the best events, Irish and otherwise, happening in our town. Sports fans, for instance, should stay sober until at least 5:50 on Friday. That’s when KU will open the NCAA tournament against either North Carolina Central or UC Davis. Assuming the Jayhawks can escape the first round, a second-round contest against either Miami or Michigan State awaits. Anyone who wants their hoops live and local, though, should get down to Municipal Auditorium for the NAIA Tournament, which tips off for an amazing 80th time on Wednesday. Or you can just wait until next week when the NCAA’s second round comes to Sprint Center. There’s also soccer, with a Sporting KC home game against San Jose on Saturday night. The first 10,000 fans get a free SKC flag. Out at Silverstein, the Toughest Monster Truck Tour will fill the arena with noise for two nights, Friday and Saturday. Technically, it’s sports, though very few fans actually care who wins. To celebrate St. Patrick in a more traditional way, the Kansas City St. Patrick’s Day Parade will, of course, be the city’s biggest. This 45th edition is expected to attract the usual, gobsmackingly large crowd of 200,000 as it snakes its way from downtown to Westport. Be sure to hit up the Kansas City Irish Center afterwards for its 10th Anniversary Party. Live entertainment starts at 1 p.m.
You can also check the Emerald Isle Parade in downtown Lee’s Summit and the St. Patrick’s Day Warm-Up Parade in Brookside. Belton has a St. Patrick’s Day Parade, too. So does Shawnee. As do Leavenworth and Lawrence. Irishpalooza happens in Martin City, while Excelsior Springs combines events with their Mardi Gras Irish Festival. Blue Springs does something original, too, with their “Shortest and Smallest” St. Patrick’s Day Parade. They literally just march across the street, which is completely hilarious. If you would rather improve your body than wreck it with green beer, enter the Shamrock Shake-Up Indoor Triathlon, The Whiskey Run 5k or St. Patrick’s Day 4-Mile Run. Maybe, though, you want to celebrate with music and aren’t terribly concerned with whether or not it’s a Celtic sound. Liberty Hall does have a program of Irish songs featuring Ashley Davis, along with Carswell & Hope. That show is Thursday. But there’s also a pair of fine accordion bands in town this week, both on Friday. Out south, you can see the reconstituted Bon Ton Soul Accordion Band at Kanza Hall. If you don’t mind a bit of a drive, though, and you want to see a Grammy-winner, get to the East Bottoms and see the Zydeco king, the great Chubby Carrier and his Bayou Swamp Band. They’re performing at Knuckleheads. The next night at Knuckleheads you can catch the always-fun Halfway to Winfield show, with Split Lip Rayfield as headliner. Assuming you are still standing after a day of drinking and watching basketball, Power & Light District has a dynamite show. Andrew McMahon in the Wilderness. He’ll perform along with Atlas Genius and Night Riots. That one is free. Free is good. Sleigh Bells may or may not have Irish heritage. But the noise-pop duo from Brooklyn does play an appealingly bouncy sort of grungy rock. Their Friday night show at The Granada will be a blast. The next night, The Granada has some straight up punk rock with The Menzingers, touring in support of their latest record, “After the Party,” which dropped last month. Ella Fitzgerald, despite the name, probably doesn’t have much Irish in her, but her birthday will still be celebrated this weekend at JCCC. The show is part of Winterlude, a concert series featuring local and international performers. “Jazz 100,” under the musical direction of Danilo Perez, former pianist for Dizzy Gillespie, has a great band that includes Chris Potter, Avishai Cohen, Wycliffe Gordon and much beloved vocalist Lizz Wright. She’s terrific, as evidenced by this clip. 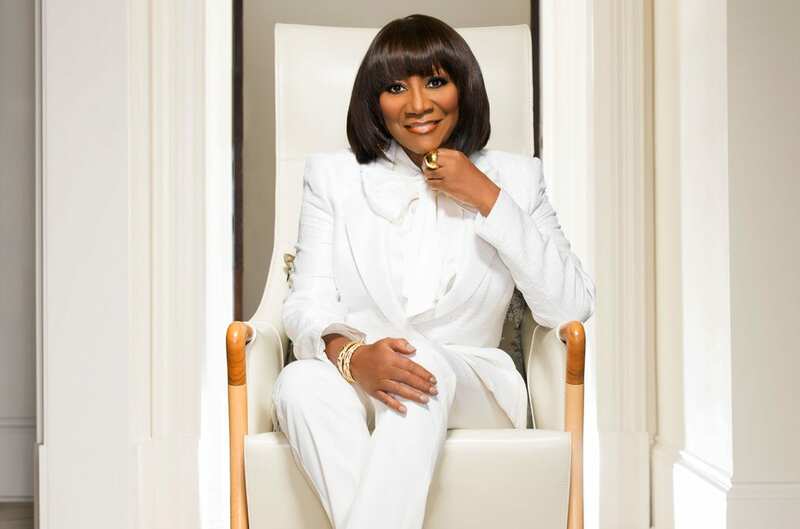 When you think of St. Patrick’s Day, you certainly think of Patti LaBelle. OK, not really. But the Grammy-winning soulstress is performing on St. Patrick’s Day at the Kauffman Center. You’ll get classic R&B, pop standards, and a healthy dose of gospel from the legendary diva. Also having precisely zero to do with the Irish are the Germans. Specifically, the Akademie für Alte Musik Berlin, presented by Friends of Chamber Music at Johnson County Community College. You’ll hear Händel, Vivaldi and Bach – none of whom are Irish, Saturday night in Yardley Hall. Laugh at Ariana Grande all you want. The diminutive pop star has pipes for days. She’s also terribly fun to look at. No, Grande is probably not a “dangerous woman” – unless you think it’s dangerous to lick a doughnut. But her ‘tween fans and their parents can expect a big, brassy production. Two acts, Little Mix and Victoria Monet, open that Saturday night show at Sprint Center. 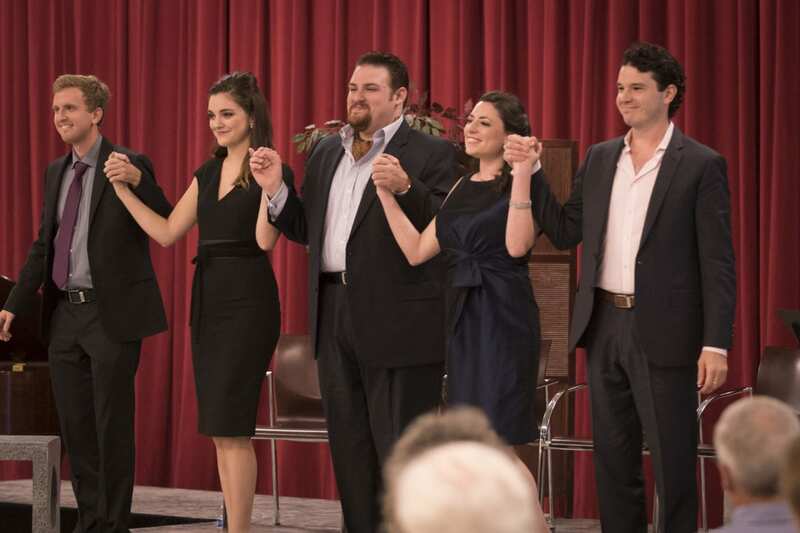 The Lyric Opera will close its art song series “Explorations” with a Sunday afternoon recital. That one will feature Lyric resident artists including April Martin, Samantha Gossard, Casey Candebat and John Viscardi. They’ll perform songs written by American composers such as Jake Heggie, Lori Laitman and Ben Moore, precisely none of whom I’ve heard of. The Irish have a marvelous history in the theater, but you won’t see Beckett this week in KC. You can, however, see “Eclipsed” at The Unicorn, which got a good review from The Star, or “Disenchanted!,” a grown-up musical that spoofs Disney’s princess culture. That one closes Sunday. The Rep’s “Constellations” and “No Talking” at The Coterie are in mid-run. For something a bit more experimental, though, try “Death, By Shakespeare,” an original work written and directed by KC’s own Heidi Van that explores the sometimes gratuitous deaths of the Bard’s female characters. The show closes Saturday night, so see it soon at Greenwood Social Hall. Tribute acts and cover bands, although inherently silly, can still be tons of fun. That will no doubt be the case this week at the Kauffman Center. Yes, you read that right. A tribute band at the Kauffman. “Rain, A Tribute to The Beatles” on Wednesday night will celebrate the 50th anniversary of the band’s psychedelic masterpiece, Sgt. Pepper’s Lonely Hearts Club Band. Bring your own acid. Or don’t, actually, because that stuff is illegal. You have to give it up to KC/DC for coming up with an innovative band name. They’ll be at the Ameristar with the less-innovatively named Almost Kiss. We’re not sure what to make of Decades. Somewhere between a tribute act and a musical, the nationally touring show features a huge pop ensemble performing medleys of classic rock hits. The band, such as it is, features six lead vocalists, choreographed dance numbers and more than 100 costume changes. That one, Thursday night, weirdly enough, is at The Folly. Two big EDM shows are at The Midland. Excision is famous for ridiculously powerful bass. He also has press materials that are, shall we say, a bit overheated. According to his bio, Excision is “armed with a library of destruction and filth.” Also, the “things you see and hear during the precious time you are engaged by Excision’s sounds will eclipse your mind for a lifetime, as you are constantly enlightened by the true fervor and energy that only an Excision set can provide.” Only you can decide if having your mind eclipsed is a good thing. Louis The Child, performing at The Midland the next night, are significantly less breathless, but the duo’s single, “It’s Strange” has racked up over 5 million plays on Spotify. On the subject of silly press materials, there is Joe Torry. He’s performing at the KC Improv and purportedly has a “household name and rapport with numerous power players” that “have caused a stirring uproar in entertainment that has ultimately led him to surpass excellence.” Whatever that might mean, exactly, is hard to say, but Torry is probably best known as the former host of “Def Comedy Jam.” Stanford’s, meanwhile, has local favorite Steve Kramer. Steve’s show, according to his bio, is “not only hilarious but overwhelmingly entertaining.” Probably even more so, one would guess, if you’re totally hammered on green beer. —Hampton Stevens writes about the arts and entertainment for regional and national publications. He lives in Kansas City, Missouri, with his pit bull, Ginger. Follow him @HamptonStevens.